This team works with the pastor and music director in the planning, supervision, and support of the congregation’s worship. They plan for each liturgical season, helping envision our worship services and practices during Advent, Christmas, Lent, Holy Week, and Easter, among other seasons and holidays. This team helps prepare our sanctuary for worship each week. They set up and clean up our supplies for Holy Communion, as well as arrange the paraments (colored cloths on the altar and pulpit) and banners for each season. Serving as a worship steward on Sunday mornings is a great way to enhance your worship experience and feel the power of the Holy Spirit within you. Worship stewards are vital to the flow of our worship and are not difficult to learn. Positions include: ushers, greeters, communion assistants, assisting ministers, acolytes, and crucifers (cross bearers). Children and youth are especially invited to serve in our acolyte and crucifer positions. Open to all adults and youth of any age who love to sing, the choir at LCOS performs during the Sunday worship two or three times per month. 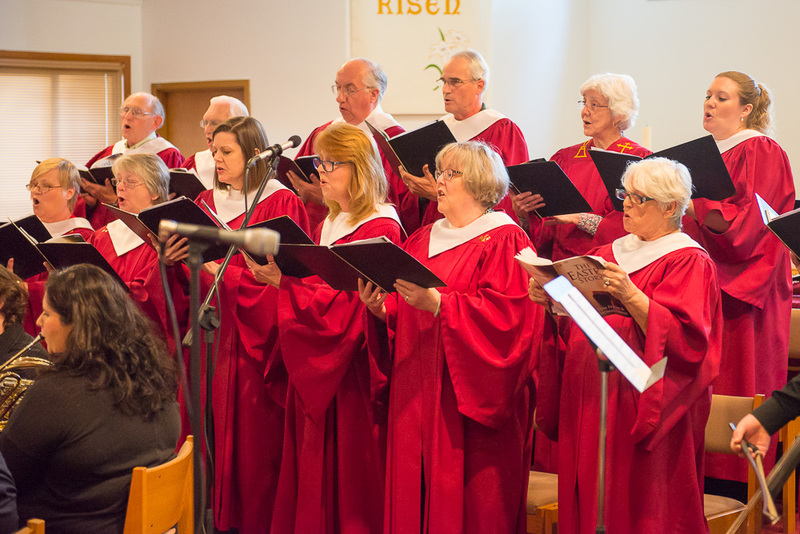 The choir sings a variety of songs from traditional hymns to American spirituals. The choir also participates in our large Christmas and Easter celebrations, and some choir members have performed in combined choirs with other local churches for these special holidays. Solos and smaller groups are also encouraged to contribute to our worship services and typically do so in the summer. 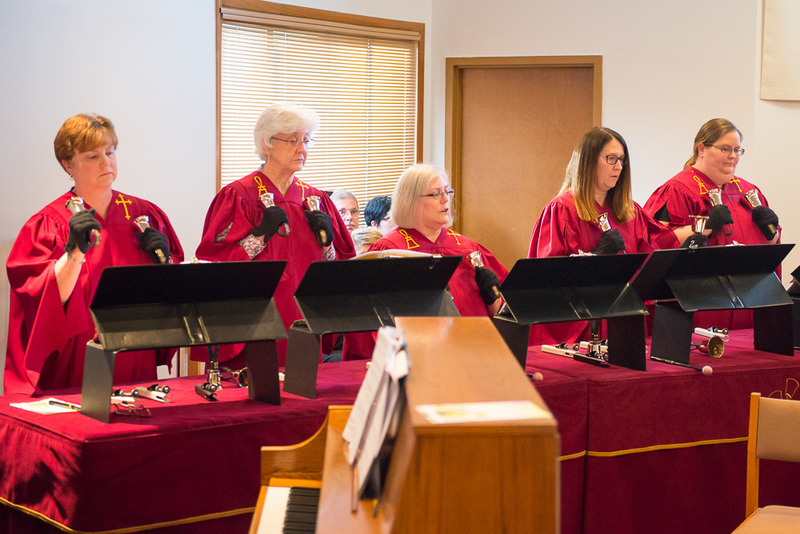 Choir meets on Wednesday nights 7:00–8:30 p.m.
Open to adults and youth of any age and musical ability, the bell choir plays English Handbells and offers a musical arrangement one Sunday a month during worship. Members do not need to be able to read music, and each person plays only two to three bells at a time. The Hand Bell Choir practices on Tuesday evenings 7:15–8:30 p.m. This small group offers more modern-influenced music and vocal arrangements in worship. Most of these singers learn by ear and add their own harmonies. The Ensemble practices before choir at 6:30 p.m. on Wednesdays. If you play an instrument, there are many ways you can share your gifts with the congregation. We welcome anyone who would like to play a solo or would like to help provide additional accompaniment for our hymns or other music. Our young worshipers receive musical instruction during Children’s Education hour at 9:15 a.m. on Sundays. They may learn how to sing a song, accompany the choir, ring hand chimes, or have fun drumming along with percussion instruments. There are many ways to participate in our music programs. All that is needed is a love of music and the desire to share God’s word through that music. Any questions about the music program at LCOS can be sent to our music director, Susan Kish, at musicdirector@lcosva.org.